My name is Manjusha Salunke, formerly known as Linda (Had my name changed xD).. I just love Crocheting! And I take pride in everything I make...My items are hand crocheted with high quality threads and yarns so you can be assured that you will be getting a high quality crochet product that will last for many years. If you have any questions regarding a particular item or if you would like an item custom made that is not shown in this shop (or would like something a different color or size), please do not hesitate to send me a message. 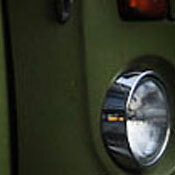 I will be more than happy to answer any questions you may have. I hope you enjoy them. Thank you for stopping by... Have a Wonderful Day!! 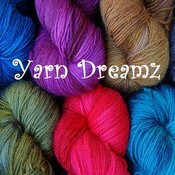 YarnDreamz doesn't have any items in their booth! I purchased the “Lariat Scarf” with he red rose. And I love it. It dresses up anything. I have a plain black dress that is wear out and it just adds that extra something. I am glad I found This item and I get so many compliments. After purchase I swear I got it in three days.